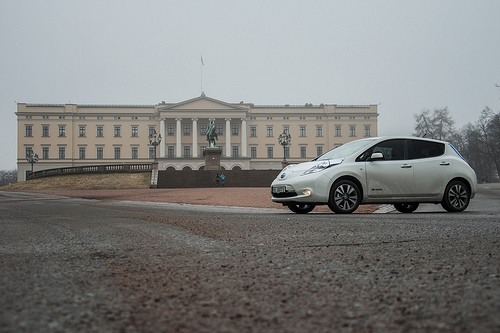 Electric cars have already risen to be among the very top-selling cars in Norway. In fact, for the months of September and October 2013, the top-selling car in Norway was an electric car, and not the same electric car for both months, CleanTechnica has reported. For the month of September, the Tesla Model S was the top-selling car, and for October it was the Nissan Leaf. There have been various reasons given for the impressive uptake of electric cars in Norway, including high electric vehicle awareness, negative incentives for fossil fuel-powered vehicles, good incentives for EVs, and a decent and growing electric vehicle charging infrastructure. Norway has been attempting to raise awareness of electric vehicles for 3 decades already, and now there are multiple options available, people appear to be jumping at the opportunity to purchase. Most people in Norway know what electric cars are, and know which models are available. As a comparison, electric vehicle awareness in the United States is still quite low, with most people still unable to name one model of electric car available. Negative incentives are described as things that drive people away from buying and driving fossil fuel-powered vehicles; these include higher taxes on cars and high fuel costs compared with running an electric car. As far as incentives go, in Norway electric cars are exempt from VAT and sales taxes, although there are no tax credits for EVs like in the U.S. and in some other European nations. Norway also allows free access to toll roads and access to bus lanes for electric vehicle drivers, as well as free parking, free charging, and a low annual road fee. 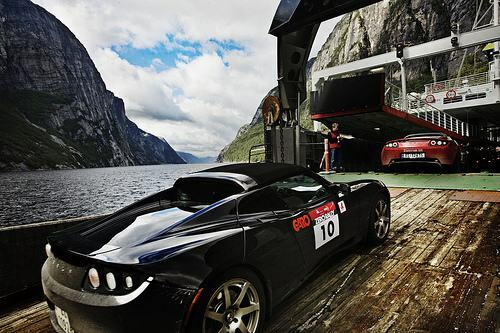 As far as electric car charging goes, Norway is said to be one of the world leaders. It already has a pretty good charging station network available to drivers, including EV parking lots in the center Oslo. It seems that many other countries would do well to follow Norway’s lead in working towards making electric cars more popular. What Norway is doing is clearly working.